A new window will open, OR your browser will tell you Reddit was "prevented from opening a popup window". If that happens, fix your browser so that it allows popups from reddit.com. 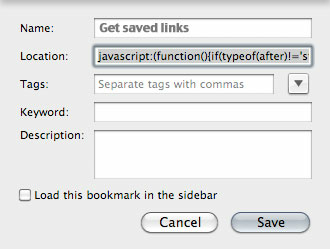 Copy and save that list into a rich-text editing application (so that the links are saved along with the text).